I am a regular student, how do I enroll? All PPGFSC students must request enrollment in the beginning of each academic term, through the CAPG system. The enrollment period is announced in the semester calendar found on our website and notice boards. For instructions on how to enroll, see this tutorial. How do I enroll in single courses as a special student? Hand in the single course enrollment form, duly completed and signed, together with the undergraduate transcript, until the last day of the enrollment period at the PPGFSC administrative office. How do I cancel my enrollment in a course? The student who enrolls at any course and no longer wishes to attend it may cancel their course enrollment. To cancel your enrollment, go to the CAPG. The cancellation period is announced in the semester calendar and on the Program’s notice boards. For instructions on how to cancel enrollment in a course, see this tutorial. According to the Art. 42 of the PPGFSC Bylaws, students are allowed to take a leave of absence, provided that the request is justified and complies with the rules established in the Art. 46 of the Normative Resolution no. 95/CUn/2017: the student enrolled in a Graduate Program may request a leave of absence, with the consent of his/her supervisor and at the discretion of the Program’s Council, for up to twelve months, in periods never lower than an academic term. The respective period will not be counted in the time limit for degree completion. It is not possible to request a leave of absence in the first or in the last academic term, nor during the extension periods for degree completion. In the “Forms” page, you will find a request form to be filled out and submitted for approval to the Program’s Council. What are the steps to completing the Master’s or Doctoral Degree? VII – for the doctoral degree, in addition to the steps above, it will also be necessary to obtain approval in a qualifying exam and be author or coauthor of at least one scientific paper during the doctoral studies, meeting the specific requirements of the Normative Resolution referred to in the art. 27 of these Bylaws. Failure to comply with the rules and deadlines set in this these Bylaws for each step listed in this article will result in sanctions defined by the Program’s Council including the non-provision of financial assistance to the student and/or supervisor, suspension or termination of scholarships and removal of the student from the Program. IV – enroll and be approved in the “PPGFSC Seminars” at least in two academic terms. Credits obtained in the master’s degree can be used to complete the doctoral degree, upon approval by the Program’s Council. How to monitor the steps to be taken in the Master´s and Programs? In the “Control Sheet” available on our website, students can monitor the steps already taken and those which they still need to complete. What are the PPGFSC Seminars? The PPGFSC has the tradition to promote seminars on Friday mornings in the Physics Department Auditorium (room 212). All master’s and doctoral students must attend these seminars, imperatively in 2 (two) semesters, and obtain a minimum attendance equal to or higher than 75% (seventy-five per cent), knowing that this participation does not result in credits, as it is a requirement for degree completion. The talks usually have a general character, but the topics covered are of current research interest. It is possible to make up for absences in these seminars by participating in other events during the week (dissertation defenses, thesis defenses, qualifying exams and seminars). Is article publication a requirement for the obtaining the Doctoral Degree? Yes. A student can only defend his/her doctoral dissertation after at least one article – of which s/he is the author or coauthor – has been published or accepted for publication in a peer-reviewed international journal in a topic related to the student’s dissertation. What is the foreign language proficiency test ? According to the Art. 44 of the Program’s Bylaws, until the 1st day of the 3rd academic semester, all master’s and doctoral students must provide proof of English proficiency superior or equivalent to the proficiency test that is offered by the UFSC Department of Foreign Language and Literatures (DLLE/UFSC). A TOEFL certificate with scores equal or higher than 470 points is also accepted as a proof of English proficiency. Doctoral students must also provide proof of proficiency in a second foreign language, which can be certified by their academic supervisors. What is the Annual Activity of Report? Master’s and doctoral students must submit brief annual reports describing their projects’ progress. Doctoral students at the end of the fourth year, provided that an extension for degree completion is not necessary. This document will be sent by the Program Coordinator by e-mail until 45 days prior to the deadline for submission. Students must then fill in, sign and hand in the report at the Program’s office. How do I validate course credits? According to the art. 57 of the Program Internal Regulation, could be validated the credits of courses or activities in another courses of Graduate Programs stricto sensu licensed by CAPES, through the approval of the Delegated Body Collegiate. What is the Supervised Practicum? According to the art. 55 of the Program’s Bylaws, the student whose dissertation or thesis project has been approved by the Program’s Council can obtain credits in supervised practicum activities, upon request from the supervisor and accompanied by a study plan. The activities of the Supervised Practicum will be coordinated by a faculty member of the Program, not necessarily the student’s supervisor. The number of credits in Supervised Practicum is limited to 4 to master’s students and 12 to doctoral students (only 4 credits per semester are allowed). How do I obtain credits for my academic papers? According to the art. 56 of the Program’s Bylaws, master´s and doctoral students can obtain up to 8 credits in academic papers. Academic papers mean scientific publications released during the period of doctoral studies of which the student is an author or coauthor and that meet the same relevance criteria set forth in the Normative Resolution referred to in the art. 26 of the Bylaws. The credits should be requested by the student and the supervisor in a specific form made available by the Program and will be subject to the PPGFSC Council’s approval. Each academic paper is worth up to 4 credits. How do I choose my supervisor? Master’s and Doctoral students have until the 1st day of the 2nd academic semester to define their academic supervisors and to present their thesis or dissertation projects through a specific form available in the Program’s website, duly signed by the student and the supervisor. Please note that only permanent PPGFSC faculty members can be registered as supervisors. What are the Concentration Area of PPGFSC? – Nuclear and Hadronic Physics. For more details about each area of concentration, including the name of the faculty members who work in each of them, please refer to the Concentration Areas page. In which situations will students be removed from the PPGFSC? IV – exhaust the deadline for completion of the course. Does the PPGFSC provide financial support for participation in events and/or field activities? Yes. The students of PPGFSC can obtain financial support to participate in events. However, only students whose thesis or dissertation projects have been approved by the Program’s Council and who comply with the internal rules regarding the participation on mandatory events are eligible to obtain this support. All participation in events must include a paper presentation (be it a poster, an abstract or a talk). To obtain the support, the student has to fill in an electronic form available at this link: Support to Events. Remember that this form must be filled in until the 1st day of the second month that precedes the event (i.e. : the student who wishes to participate in an event on 15 April must submit the request until 1 February). Which infrastructure is available to the PPGFSC students? Student offices: Most part of the students has a shared office (with other students). Check with the PPGFSC office if there is a room available. Faculty offices: PPGFSC faculty members also have their own offices where students can go for assistance. Library: The University Central Library (Biblioteca Universitária Central – BU) and the School of Physical and Mathematical Sciences Library (BU/CFM) are available to PPGFSC students. All students regularly enrolled at UFSC can borrow books from the library. There is also a broad online collection available. 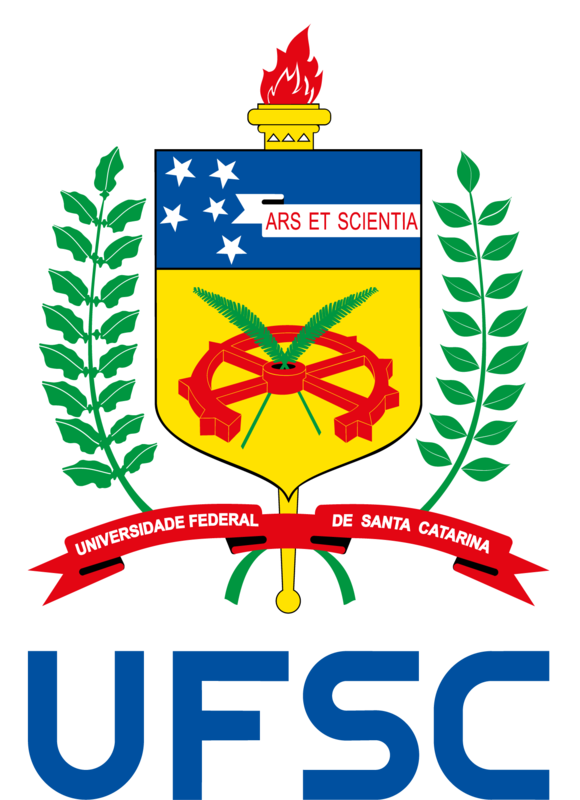 UFSC identity: to have access to the UFSC e-mail account, wireless network, among other services, student have to register at this link: Identidade UFSC. Photocopy and printing: The PPGFSC administrative office has s a multifunction printer that can be used by PPGFSC students for photocopying and printing. Other graphic services: the PPGFSC office also provides to the students binding, color printing, banner printing, among other services. Please contact our office for more information. To book the PPGFSC Meeting Room or the Department of Physics Auditorium, click here and read the instructions. How can I carry out Postdoctoral Research at the PPGFSC? Please find below a checklist containing information on how to apply to the PPGFSC as a postdoctoral researcher. For any questions not covered on this page, please contact the Program’s office.